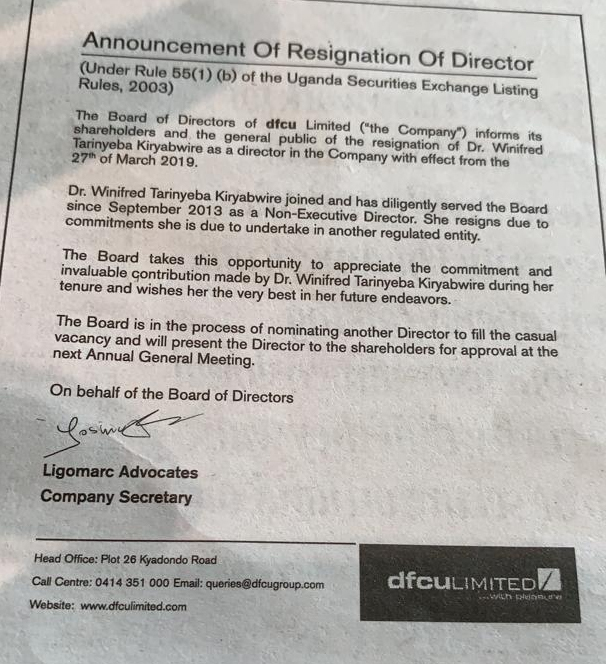 Dr Winfred Tarinyeba Kiryabwire, has tendered her resignation as a director on the board of DFCU Bank. 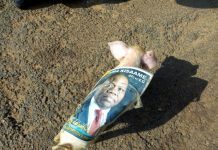 Kiryabwire’s resignation took effect on March 27. 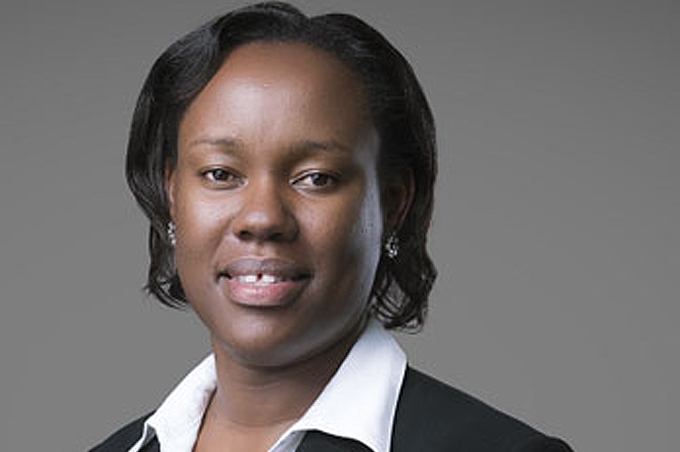 “The board takes this opportunity to appreciate the commitment and invaluable contribution of Dr Winfred Kiryabwire during her tenure and wishes her the very best in her endeavours,” a statement issued by the bank’s external lawyers, Ligomarc, read. According to the statement, Kiryabwire resigned to pursue other interests. Dr Kiryabwire is an Associate Professor and head of the Department of Commercial Law Makerere University’s School of Law. He areas of expertise include; corporate law, securities regulation, and corporate governance. Kiryabwire has also advised various government agencies and inter-governmental bodies on the development and implementation of company law and securities regulatory frameworks. 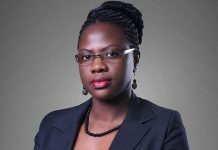 She has previously served as Chairperson of Gatsby Microfinance Uganda, member of the Board of African Alliance Uganda, member of the Public Sector Administration Audit Committee and Vice- Chairperson of the Uganda National NGO Quality Assurance Mechanism. 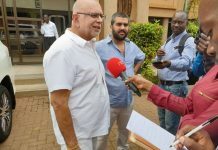 Kiryabwire’s move is another high-profile resignation following Deepak Malik, another director who threw in the towel in September 2018. 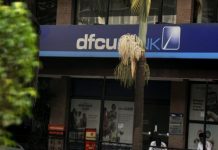 The bank has been mired in controversy after the 2017 takeover of Crane Bank that Parliament recently ruled was closed illegally. 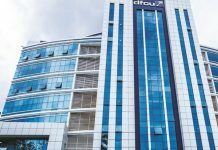 Yesterday, DFCU released their 2018 figures that indicated a 51.6% drop in annual profits after tax.